My dear children I am always here by your side, I have never left you. I’m sorry for all the challenges that you’ve had to face and go through in your life. Those challenges have helped shape you into the person you are today. To have compassion and great empathy and understanding for what others are gong through in there own challenges. I love you and have never stopped. The time has come for you to forgive yourself. You have been so hard on yourself for a very long time. So much judgment and confusion of who you are. You are my children, a divine reflection of the Source energy. You have a great gift with wonderful things to share with this world. Remember me always for I live within your heart and All things. If you need my help listen for my voice. I am the message of love and forgiveness. It requires your deep listening to be able to hear me. You must sift down through the layers of unconsciousness, judgment, anger, and frustration and find me at your core. In your gratitude I live. Everything else is an illusion, a story created by the matrix of the mind. An idea that was created to make people believe they are separate from me. Don’t believe that which is not real, open your heart to what is real, your connection to me. This is the only way to set you free, remember me. When you speak, when you think, when you feel, when you hear, eat, sleep, walk, drive, swim, make love, sit, work, touch, listen, write, paint, draw, or play. Feel me inside of you and you will know peace. My children, I love you and I always will no matter what you do. Remember me and share this love with the world around you. Thank You SO much! Mahalo Nui Loa! An amazing day on the Big Island of Hawaii. Teaching yoga in the morning, massaging in the afternoon and playing music in the evening. Feeling so blessed to be here in Puna. 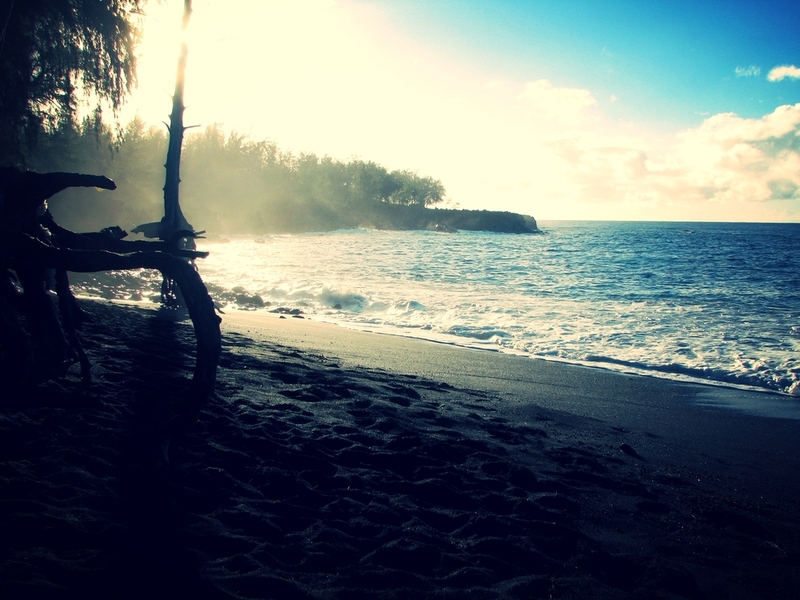 Treat yourself to a retreat in Hawaii and feel the power (mana) of the land (aina). When you let your light shine you unconciously give others permission to do the same.